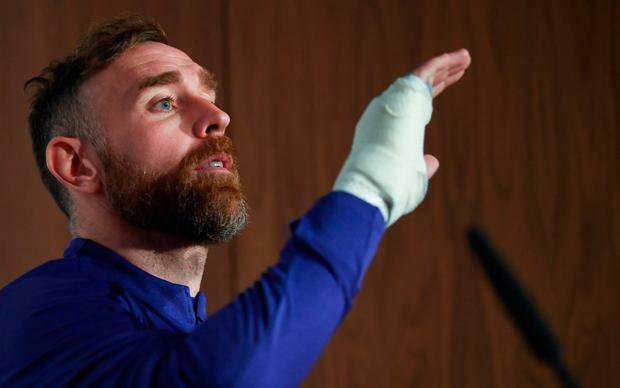 Richard Keogh's notable career landmark passed by with little fanfare. The timing was a bit off as his Derby County side have suffered a testing month where they have lost momentum in the race for promotion from the Championship. But this was still worth celebrating. Derby's captain was taken slightly by surprise when he was informed ahead of the league match with Wigan at the beginning of this month that he was about to make his 600th appearance in English football. Once the game was out of the way, he was able to reflect with pride on the achievement. He's travelled some distance to reach the milestone. As a trainee at Stoke City, he failed to make the breakthrough and went on loan to Iceland to get on the ladder. His CV since then says a lot about his career and his profession; he understands the precariousness of a footballer's existence in the lower leagues. Plenty of ex-colleagues have dropped out of the trade. A stay at Bristol City was peppered by loan spells at Wycombe, Huddersfield, Carlisle and Cheltenham. A two-year full-time stint with Carlisle offered security, and it was followed by two seasons with Coventry as he climbed the ladder before arriving at Derby in 2012 where he has become a leader, a Championship regular and an established international. "After it happened, I probably looked back on it a bit more," admitted the 32-year-old yesterday, "I was (thinking) like . . . it's not bad, 600 games. "I know how hard it is to play one game. I know what people have to sacrifice and the hard work that goes into playing just one professional game. "So play over 600 now at 32, which is still pretty young, is something I've looked back on and I am very proud of. I think it's moreso the consistency I've played with season after season. It fills me with pride that I can keep maintaining my level of performance and even getting better." The one unticked box is sampling Premier League level. As a Derby County player, he has experienced gut-wrenching play-off disappointment. Under Frank Lampard, they now face a battle to make the top six and give himself another crack at the big time. "I have spoken to a lot of people who have played in the Premier League and worked there and they've been complimentary of me, saying my game is good enough," he says. "I feel like I have proved that with Ireland and in the Championship." Still, he was never going to take his place in the Ireland squad for granted, especially with the handover from Martin O'Neill to Mick McCarthy. Keogh has reported for duty this week with a broken hand, a product of an unusual connection with the ball in a Championship battle with Stoke. The fracture is in the middle of his hand and surgeons have agreed that he can delay treatment until the end of the season and play wearing a cast. "The hand surgeon was fantastic," he explains. "He said you can have the surgery and still get back quite quickly but potentially I might miss a few games so I said with this (Ireland) coming up and a big end to the season with Derby, I'd rather just take the risk I suppose... just carry on playing." The profile of the Ireland squad means Keogh is coming into contact with a variety of promotion rivals this week. Aston Villa, Middlesbrough, and Preston are all involved in the scrap and there will be idle chatter about their respective run-ins. At the same time, there is a shared goal to leave the disappointment of 2018 behind. There will be no trash talk from Keogh about the old regime, though. He is grateful to Martin O'Neill for giving him the opportunity to play at a major tournament in 2016. Indeed, Keogh was given the captain's armband in the absence of Seamus Coleman for last October's double-header. "The disappointment of not qualifying for the World Cup probably hit the squad harder than we thought," he muses. "It took us a little while to get over it. "As players, we've got to step up now. There's a manager coming in now who has a clear idea about what he wants to do. We had Martin for a long time and did some great things, but I think if you ask all the lads, everyone is excited to work with Mick. "It's not about what happened before. It's about what happens now." That's the mentality that keeps Keogh's journey ticking along.